I finished this one a few weeks back and am just now getting around to posting. I finally splurged and bought myself a set of 200 Mungyo Gallery Extra Soft Pastels. When they arrived, in a beautiful wooden box, and I opened the box, I immediately looked at the array of pinks and thought “I have to draw the cherry blossoms”. So I found a photo that I (or maybe my friend Jan) took at the Cherry Blossom Festival in 2010. It was perfect. 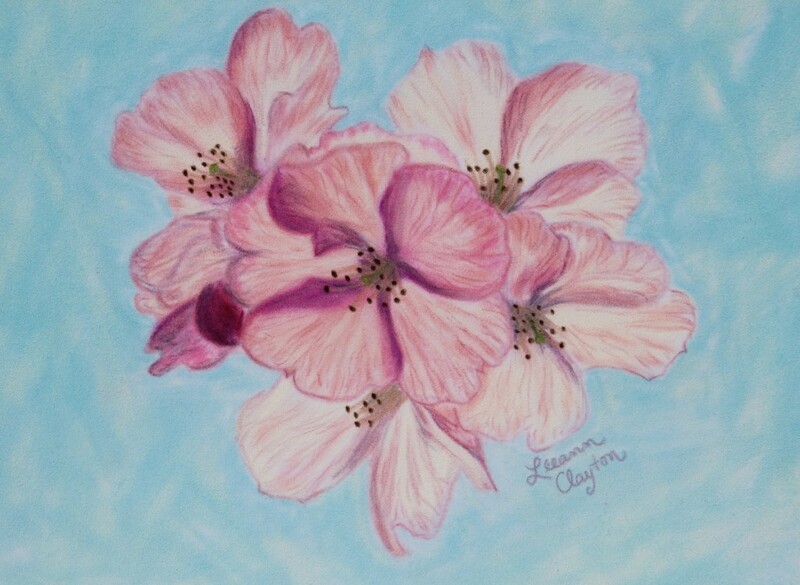 I have never considered myself a floral artist or ever particularly liked drawing or painting flowers, but the texture and colors of the cherry blossoms amazed me. And I really enjoyed the challenge of trying to put on paper what I saw and remembered. Hope you enjoy! This entry was posted in Art, Pastels. Bookmark the permalink.